The internet is many things to us. For some, it’s a source of revenue, while others may just be looking for something to keep occupied. It may be a great place to teach our kids some things they won’t learn about in school or see in a regular book. Chances are high that if you’re reading this article, you get some or most of your news online too. Unfortunately the internet can also be a cause of headaches and trouble. It isn’t just a problem for new users or children either; even advanced users can sometimes fall prey to schemes or become the target of criminals and hackers. Your family may be vulnerable, but you can do something about it. As with any form of danger, prevention is the key to keeping kids safe online. There are two different angles to work from when you’re dealing with the internet: savvy and tech. While experience is the best teacher, it often comes from harsh lessons. Instead of waiting to be blindsided, be proactive and begin watching for signs of trouble. No doubt you’ve received spam emails in the past. Some of them are obviously junk (unreadable, offering services you clearly don’t want, etc. ), but every now and then there’s a cleverly written letter designed to fool you into clicking a malicious link or downloading some type of malware. Remind your spouse and any teenagers with email addresses to check the source of all email messages, and be sure there’s a valid reason for receiving the email. Read carefully: some scam emails will use very real sounding email addresses to send their messages that are fake as fake can be. Just because you received an email from “josh@irs.com” doesn’t mean it’s an agent. After all, government websites are always .gov, and they don’t usually send email unless you personally solicit it! Be careful of friends or co-workers whose email accounts have been stolen or hacked, as they might be used to further distribute malware. If a message is written in a way that seems odd or out of the ordinary, don’t click on anything in it! Watch for unusual grammar or spelling; short messages with clickbait type links (click here for pics) are a big red flag. Stolen accounts don’t create problems just in email either; business accounts and social media accounts can also pose similar risks, as the offender will appear as someone you know and trust. Teach your family that things aren’t always what they seem online. Anyone can create a fake profile on Facebook (even though it’s against the terms of service), which can be used to solicit information or to feed dangerous links. Keep in mind you can check where hyperlinks go by hovering your mouse over them or by holding down on your mobile device until more options appear (with the web address typically). Knowing skydiving isn’t the safest hobby doesn’t help you much if you show up without a parachute. The internet is like that, too; you need the right tools for the job. Security software is important because it fills in the gaps and is there when you can’t be. Any computer (desktop or laptop), smartphone, tablet, and other device that connect to WiFi that your family owns should be equipped with the following software. If you’re using a PC, it likely came with an anti-virus program pre-installed unless you built your own machine. But most pre-installed anti-virus software has limited time use before it needs to be purchased (and in some cases subscribed to). You can do better: opt for free versions with no expiration date on service, such as those offered by Panda or Avast. Don’t forget your mobile devices either. Phones and tablets are all just as susceptible (in some cases even more so) to errant malware, but they can be protected for free in the same way your PC can be. Chances are good that you don’t have a VPN installed on your devices. If you do, fantastic; otherwise, you’ll want to understand just how important this kind of service can be. Your internet connection may not be secure. Most of your traffic is unencrypted and fairly accessible by anyone who wants to read it. If you’re using wifi without a password or accessing public wifi networks, anyone can use that as a point to intercept and steal your information. A Virtual Private Network is a subscription based service that alleviates these problems. In simple terms, it connects your device to a remote server before connecting to the rest of the internet, encrypting your connection in the process and shielding your data. It’s a helpful service for the whole family, as it keeps hackers away. They won’t want to deal with the encryption. It can also be helpful for your business if you travel. VPNs let you virtually connect to foreign or native servers so you can specify your location if you’re using regionally restricted services. A firewall is a local filter that many devices (such as those with Windows) come pre-installed with. This isn’t something you’ll typically need aftermarket, but know that having one will keep intruders out of your local network. 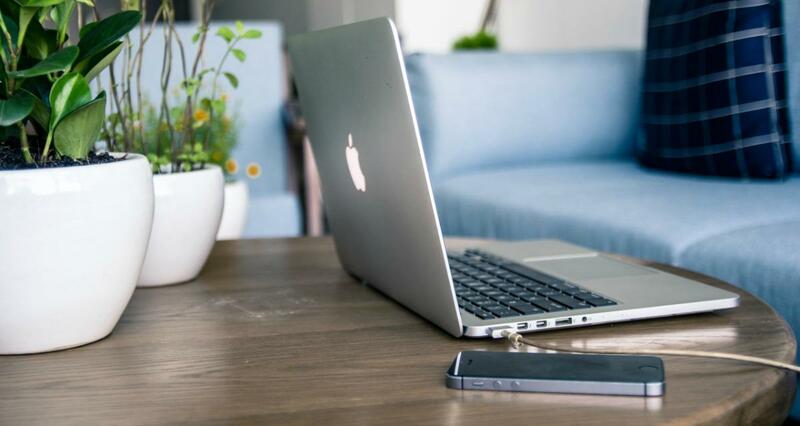 A password protected router is a useful firewall because it allows you and the family to connect wireless while screening out anyone unwelcome. So you’ve got your computer setup with protective software, and you’re avoiding obvious threats online. Everything is fine, right? That may not last if your passwords stink. One of the easiest ways to steal important accounts is by simply guessing at bad passwords. Every year, lists of websites post the most used passwords (which are often the worst passwords), and they continue to remain the same. Passwords such as password, 123456 and their ilk are a quick and easy way to lose access to your email. You and your family should use strong passwords that contain upper and lowercase letters, numbers and symbols. Avoid using words in the dictionary, and try to keep passwords for each account you use different. Consider password making a fun game. Creating passphrases will give you really long and difficult to crack passwords that may be very easy to remember but impossible to guess. Use a password manager, such as LastPass, to keep track of them and even monitor your teenagers’ passwords if need be. Other tools exist to keep an eye on things at home. As kids get older, they’re probably going to be using the internet more. Check their browsing history on occasion to see what they’ve been looking at (we know you can’t be everywhere at once), and if something unsavory comes up, have a sit down about it. That goes for spouses as well (though they’re more likely to clear their history, which could also be a red flag!). For younger kids, consider using parental controls to restrict access to safe and well known websites. Older children and young adults are likely to find ways around parental controls and are more likely to benefit from education than helicoptering. For kids with mobile phones, consider installing apps to help monitor their activities. If you’ve ever heard someone say “TMI,” let me just point out: that goes double, if not triple, for anything you put online. Adults and children are equally guilty, posting anything from seriously personal information (“ew look at this fungus on my toe”) to dangerously compromising information (“we’ll be out of town the next few days” aka “great time to break into our house”). Exercise restraint, and teach your kids to do the same. Remember that anything you post on the internet may be there forever. You can’t take back what gets posted online. 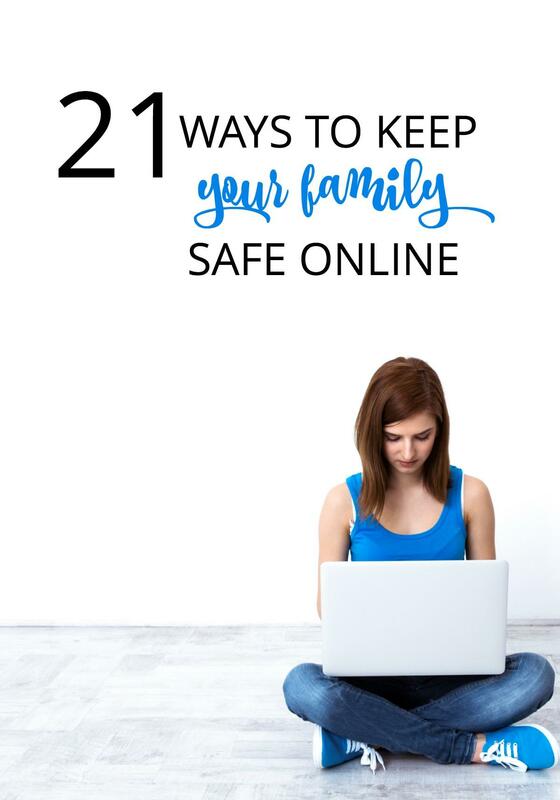 Is your family safe online? Tell us what you’ve been doing about keeping kids safe online from malware, cyberbullies, and whatever else the internet has to throw at us. 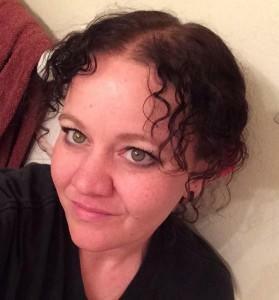 Jen Martinson is a working mom, blogger, and online security expert. While she is no stranger to the internet, she knows others are and need a bit of a helping hand staying safe. Thanks for a superb article! This is such a great resource for cyber safety and our kids. I will add one more thing: Games addictions are big treat to childrens, but can’t tell all.Some games will improve the hypothetical thinking of kin.